Below you will find list of Top ICSE Schools in Ludhiana 2019. Sat Paul Mittal School is a premier institution up north of Delhi. Founded in the year 1982, Spring Dale Senior Secondary Public School aims at providing the best in academics, sports, co-curricular activities to make multifaceted personalities and responsible citizens. Sanatan Vidya Mandir Senior Secondary School is affiliated with the Council for the Indian School Certificate Examinations (CISCE), New Delhi. Sacred Heart Convent School is a co-educational English medium school. 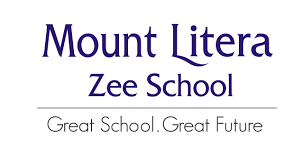 Mount Litera Zee School is an endeavour by the Essel Group and is affiliated to the Council for the Indian School Certificate Examinations (CISCE), New Delhiup to secondary level.